The boots, temporarily at rest after weeks of near constant jumping. 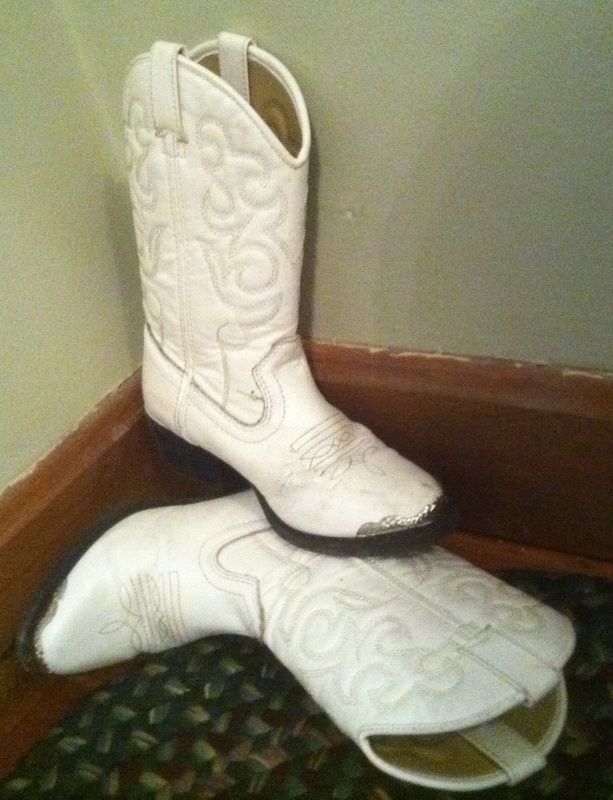 When The Nine-Year-Old was a mere Four-Year-Old, she walked into an antique shop in Cape Cod one rainy afternoon and discovered a just-her-size pair of vintage white leather cowboy boots. I wonder where those boots have ended up. I’m pretty sure we wouldn’t have given them away to just anybody.